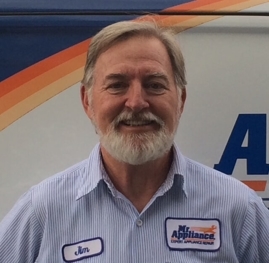 Jim Artell has been with our company for nearly 11 years. Jim joined us in 2005 after departing a company that he had been with for more than 20 years. 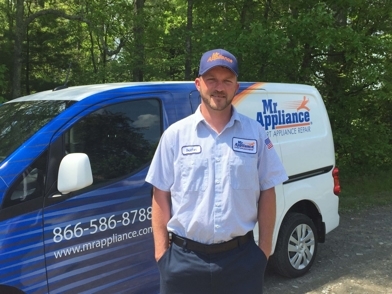 Jim previously owned an appliance service company and understands the challenges we face, therefore appreciating where we’ve came from, as well as our destination. Jim is known throughout the industry by a handful of nicknames, including “Ole Man,” “the Grand Father,” a “pioneer” and even “Miyagi,” from the hit movie, Karate Kid by the many young grasshoppers in our industry. He and his wife Helene have three adult children and three grandchildren. The two of them are great role models for our owners and our entire team. They both play a major part in our local Boy Scouts program, impacting the lives of many young men, including their grandsons. They also provide foster care for abused dogs while they are waiting to be placed in healthy homes. I addition to being a great professional, most people aren’t aware of Jim’s amazing sense of humor. Matt Davis has been with our company for three years. Matt joined us after completing an automotive repair class at a reputable vo-tech school. Matt picked up this trade faster than anyone we have ever trained, running calls on his own in just 30 days. Matt’s Mom and Dad live close by, with roots deep in the seafood and commercial fishing industry. His two loves outside of work would be his girlfriend Linsey, who is a an RN at a nearby hospital, and his dog. He enjoys spending time on the water, hanging out with his family, and fixing things. Most people aren’t aware of his love for technology and the latest and greatest gadgets. Shandra Tuck, the oldest daughter of our owners, has been with the company for two years. She took a hiatus from the nursing industry, as an LPN, after becoming a Mom and deciding that our schedule was much more flexible, allowing her to be there for her daughter Ava. She leads our Business Development Team, taking responsibility for direct marketing as well as our call centers. She is happily married to Andy and their growing family is now joined by Allie, who is almost 3 months. 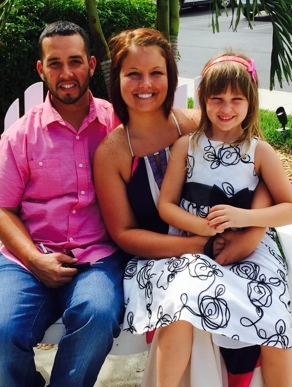 Away from work, Shandra loves watching movies with her family, shopping, and spending time outdoors with the girls. Most people aren’t aware of her outstanding skills as a nurse. Andy Zuniga has been with the company for nearly a year. Andy joined us after successfully completing the EMS Course and Fire School. He found job placement challenging and joined us shortly thereafter. He also worked many years in the food service industry as a waiter, famous for his personal touch and level of service. Andy runs service while also currently handling our dryer vent cleaning duties, which are a major responsibility. 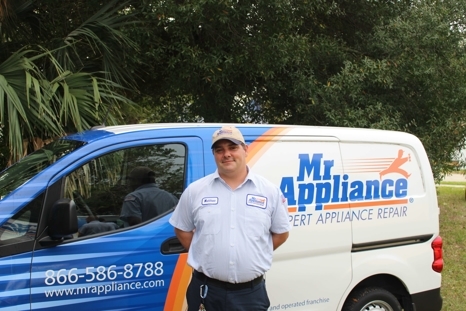 Andy works in both our Florida and our North Carolina markets. Andy speaks fluent Spanish, making him very popular among our customers. Outside of work, Andy’s time is spent in the kitchen, sharing his mother’s recipes rooted in her Mexican descent. We can assure you, you will never eat a better meal. When he is not cooking for Shandra and the girls, he loves spending time with them watching TV, reading books, and playing school. Most people aren’t aware of his love for classic cars, owning and restoring them in his past. Matt hew Artell has been with the company for six months. Matthew joined us from the computer repair industry. 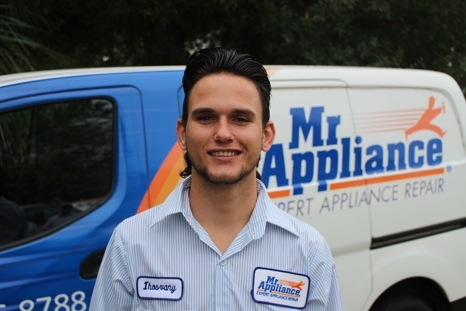 He runs service for our team, taking care of servicing all brands. He is also the son of Jim Artell, our service manager. In his free time, Matthew enjoys spending time with his son Christopher. Matthew and Crystal also enjoy artwork, painting, and fine wine. Most people aren’t aware of Matthew’s love for his exotic animals. Dustin Rorie has been with the company full time for a year now. Prior to that, he was around the company regularly while working full time as a truck driver for the Anheuser–Busch Company. Dustin’s background is heavy equipment repair and welding. Dustin runs service while also currently handling our dryer vent cleaning duties, a huge responsibility. Dustin loves the outdoors, taking in as much of western North Carolina as possible since moving here in January of 2015. After first learning the industry in Florida, he has adapted well to a much different arena in Asheville. Dustin and Amanda have two dogs, Buddy and Sissy. They live for their dogs, taking them on regular hikes to the areas waterfalls and trails. Most people aren’t aware that Dustin had a successful career in bull riding before giving it up after a damaging injury. Ihosvany Diaz has been with our company for nearly 6 months. Previously he was with Comcast as an installer and troubleshooter. Ihosvany runs service on all brands, demonstrating his love and appreciation for great service. Our customers appreciate his Cuban background and eagerness to please. Away from work, Ihosvany loves to spend time with his family and man’s best friend, his dog. He previously had a passion for really fast cars and motorcycles, even racing them at times, while never receiving a traffic citation. Ihosvany speaks fluent Spanish, which is very helpful for our customers. 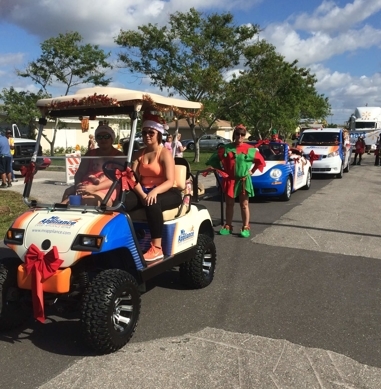 Most people aren’t aware that just 5 years ago, his father brought their family here from Cuba to start an appliance service business and passed shortly thereafter from cancer, leaving Ihosvany looking out for his Mom and little brother. As the newest member of our team, Marla Cowan joined our company January 1st of 2016. Marla has worked with our company for several years in the past while working at different capacities with in our corporate office in Waco Texas. Marla is a member of our Business Development Team, working in our call center and direct marketing efforts. 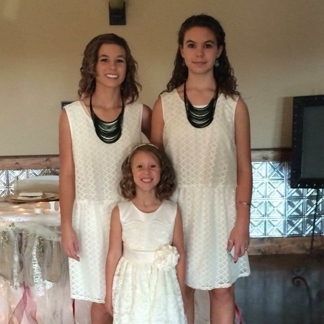 Marla and her husband Reed, have three girls; Presley (16), Berkley (14), and Charley (6). Away from work, Marla enjoys her time with her family, shopping, and those things girls love to do.